Product information "Philio 3-in-1 Sensor (Door/Window, Temperature, Brightness)"
The sensor consists of two parts: a detector and a magnet. The Magnet should be mounted on the door’s/window’s opening part and the detector on the fixed frame. Opening the door/window will remove the magnetic field, trigger the detector and generate an alarm condition, (if the system is armed). 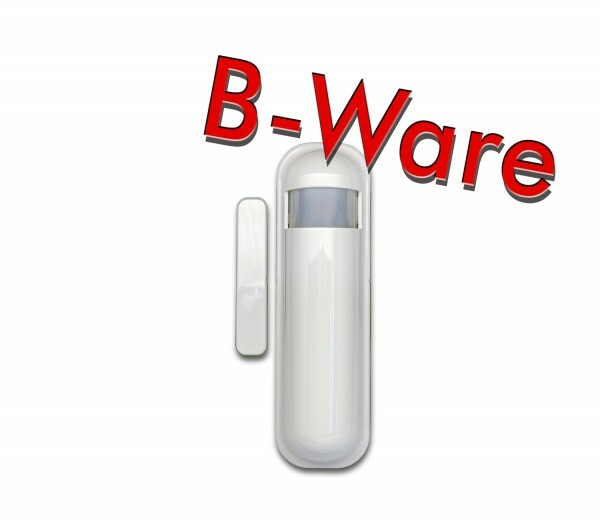 The sensor can also be used for automatic light control, one possible scene is to get the illumination lux level from built-in light sensors and send a signal to Z-Wave control center to turn the light on once the door will be opened when the room is dark. Every time, when the door/window sensor triggers a status change, it will also send temperature and brightness value. Related links to "Philio 3-in-1 Sensor (Door/Window, Temperature, Brightness)"